Being one of the closest regions to Catalonia’s capital, Barcelona has opened up DO Penedès to no end of enotourism. It is in fact the most visited wine region in all of Spain and it’s no wonder given that it’s only 45 minutes by car or the very convenient train from the center of Barcelona. For anyone who passes through the region, it’s quite easy to see how this is the wine producing juggernaut of Catalonia with 26,000ha of vineyards spreading far and wide. Of course, one has to take in to account that a good chunk of this is committed to sparkling wine production under DO Cava as well as the other wine appellation of DO Catalunya. All told, the winemakers of DO Penedès work with something more like 4,000ha of vines and of this, 55% of them are farmed organically. These changes came about due to the reputation of DO Penedès being of basic, affordable wines in years past. Starting about 10 years ago, they’ve worked to make higher quality wines that are more expressive of the region. By placing all vineyards within one of the seven subzones: Conca del riu Anoia, Valls del Bitlles Anoia, la Conca del riu Foix, Serra d’Ancosa, Massís del Garraf i Costers de l’Ordal, Marina del Garraf, and Costers del Montmell, they’re striving to achieve a level of quality and designation that was previously unheard of in the region. Smaller cellars have increased in the last 15 years as well with a heavy focus on quality viticulture as well as wines and the region, like many in Spain is seeing wines produced unlike any others previously. 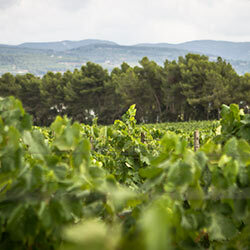 Please peruse more articles about the wines of Penedès.